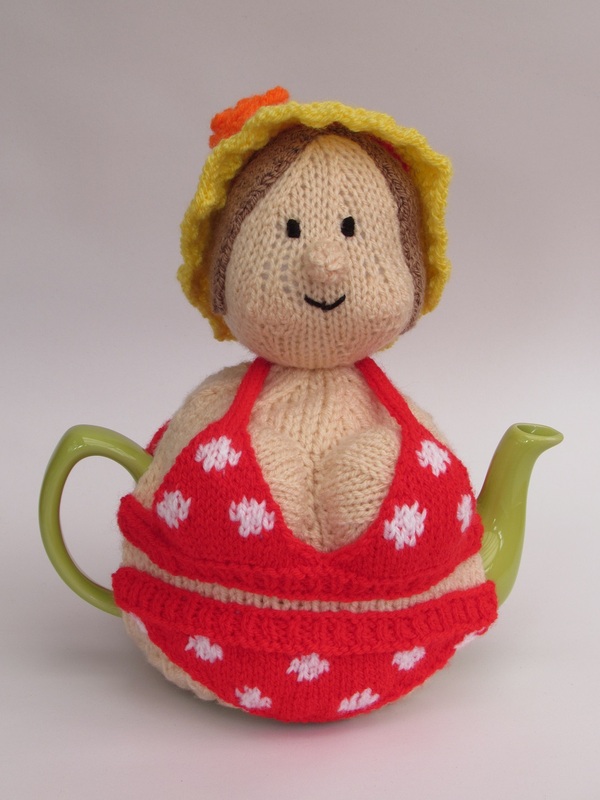 The tea cosies are inspired by everyday people in everyone's families. 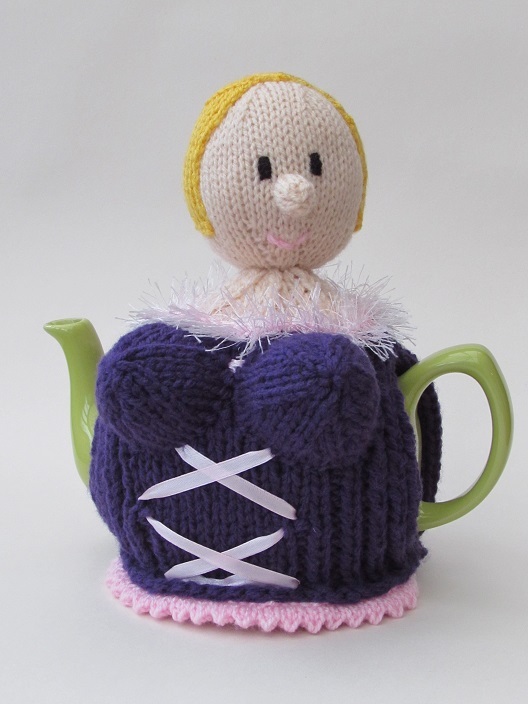 Family member tea cosies make such lovely gifts, you can knit a tea cosy that looks like that member of the family with these tea cosy knitting patterns. 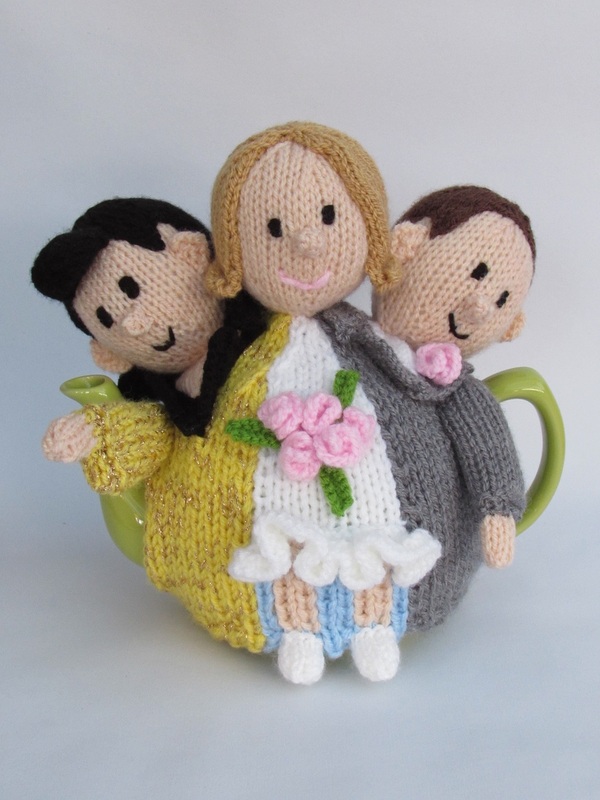 The family member tea cosies features family characters as well as special events in a families life and after an exciting family event, it's good to have a nice cup of tea. 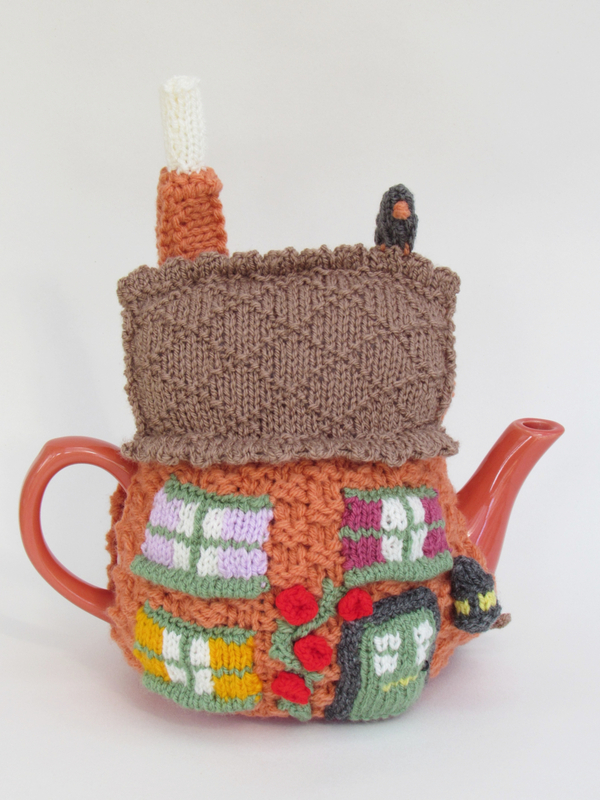 A house isn't a home without a tea cosy. 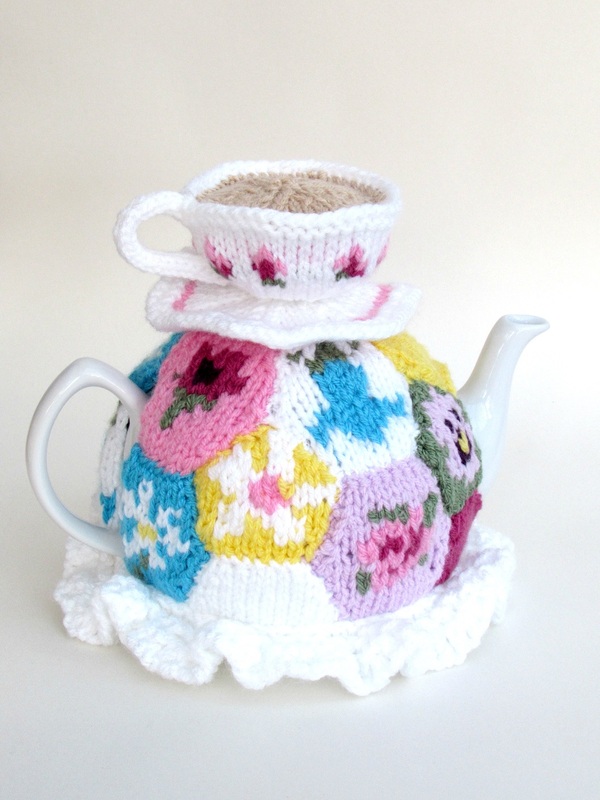 Patchwork and a teacup gives this tea cosy a vintage look, and a granny, country cottage feel. 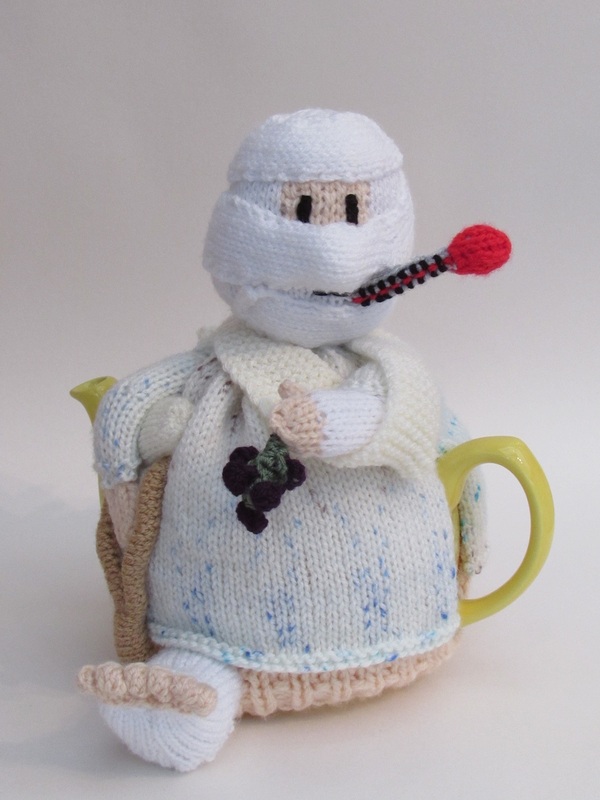 Tea and Sympathy is just what the doctor ordered for this poor hospital patient. A tea cosy for the lady who's crazy about cats. 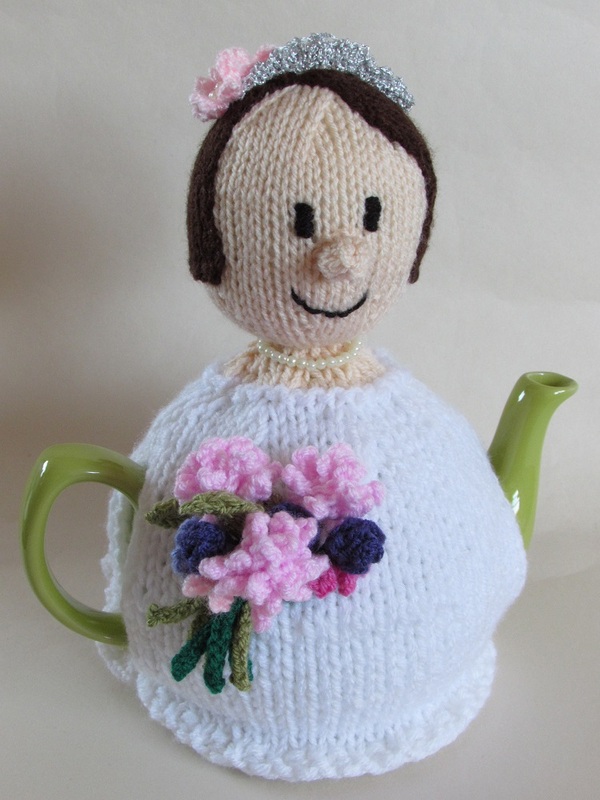 A bride tea cosy is the perfect way to remember your wedding day, everyday. 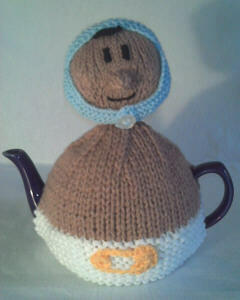 It's a Boy - Make a cuppa to wet the baby's head! 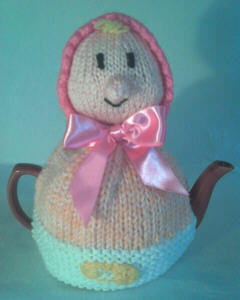 It's a Girl - Make a cuppa to wet the baby's head! 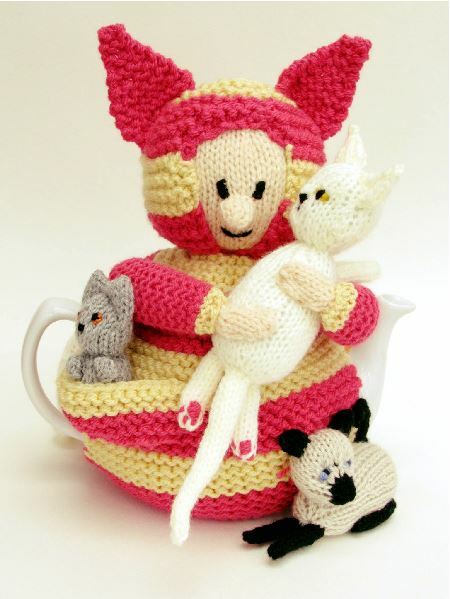 Our knitting patterns can be ordered online using this website and we'll post them to you. Alternatively, you can buy these knitting patterns from our Shop on Etsy.com where you can then download them yourself and start knitting today! The knitting patterns are also available from: Our eBay Store | Downloadable patterns on Craftsy Own a Kindle? Download the patterns as an e-book from our new Kindle Store. 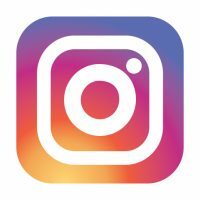 Free shipping on all orders in the UK.